The Airtel Uganda Internship Program is an annual opportunity for many young people to work with the telecom giant in select departments. In June 2010, Airtel Uganda was launched and is today one of Uganda’s most innovative mobile phone operator, which has introduced many “firsts” in the telecommunications sector. 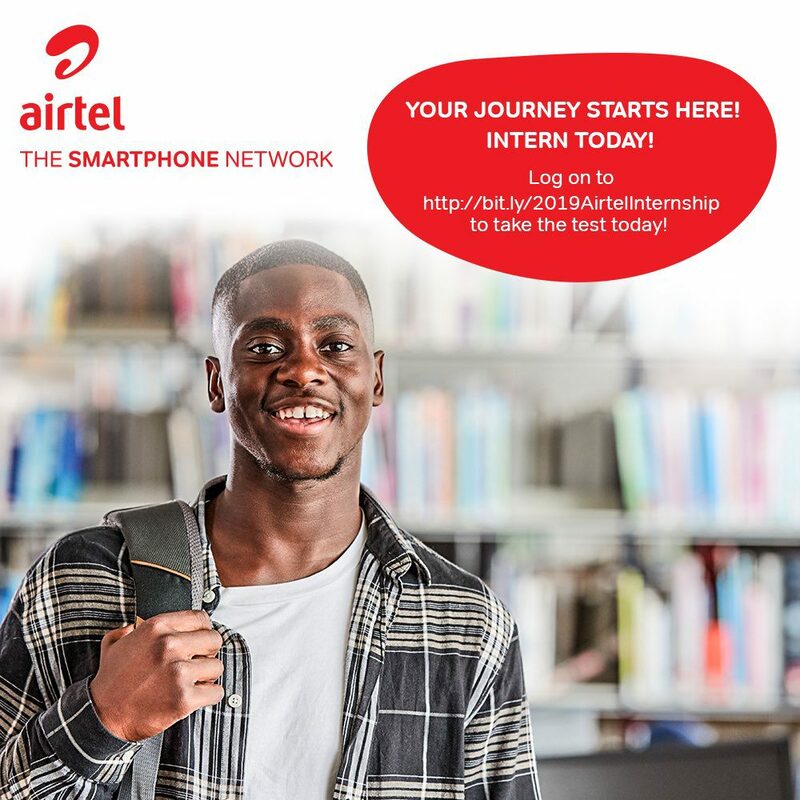 Airtel Uganda understands how many youth feel during the initial days in a new organization, and hence they are constantly with you during that crucial time and thereafter for your entire journey with the Airtel Uganda Internship! Interns go through the welcome to Airtel orientation programme on their first day of joining and a follow up is made months within joining the Airtel Uganda Internship Program to ensure that you have hit the ground running. Airtel believes in nurturing talent and together they can work towards shaping their customers future through the Airtel Uganda Internship Program. Internship places are available for the period of 1st June – 31st August 2019 in several departments depending on the course being pursued. Please note that our preferred interns are 2nd-year students for those doing a 3-year course and 2nd & 3rd-year students for students doing 4-5 year courses. All applications for the internship should be submitted online through the Airtel Uganda official website page. Applications should be submitted not later than 30th April 2019 at midnight. The Internship Application tab will thereafter be disabled from the Airtel website page. Successful applicants’ will be subjected to a secondary interview afterwards the names will be published on the website and social media platforms.